Making them happy doesn’t take so much and you don’t need to drop them mega parties to show them love but the secret is that even the out-fit you give your children can give them happiness. From companies churning out clever graphic tees to darling appliqué dresses, there are plenty of options for little ones that go beyond Baby Gap. So we’ve rounded up a few of favorite cool kids clothing brands that might not be on your radar. 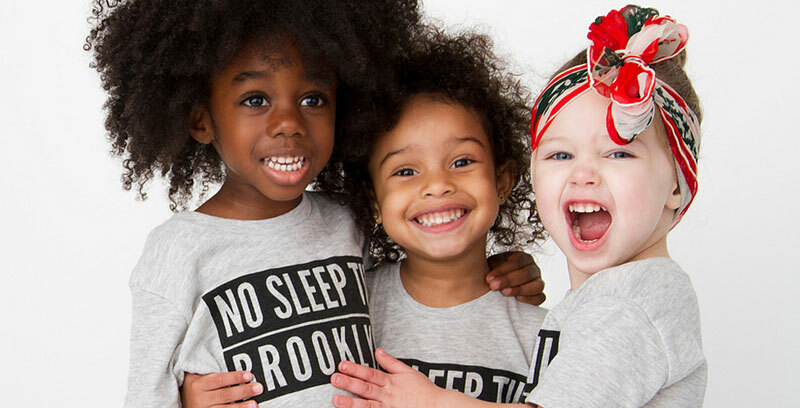 What’s not to love about this New York City-inspired brand with its signature tees that read “No sleep ’til Brooklyn” and “Dope?”. We don’t know what’s cuter these kids or their clothes! Either way the awesome graphic designs behind this Los Angeles-based company will definitely up the adorable factor on any little one. Team this company’s fierce and fabulous tees with their sassy harem pants and you’ve got yourself a certified cool kid.